Aloe Vera to treat eczema in babies - Which products are best? Aloe Vera to treat eczema in babies, can it help? Most of the effects of eczema happen because we scratch. You probably don’t want to know that, because for eczema sufferers being able to resist scratching is an almost impossible task. But it is true, if you could completely avoid scratching then you would avoid most of the uncomfortable side effects of the condition. This is easier said than done and if your baby suffers from eczema it’s even harder. Short on time? 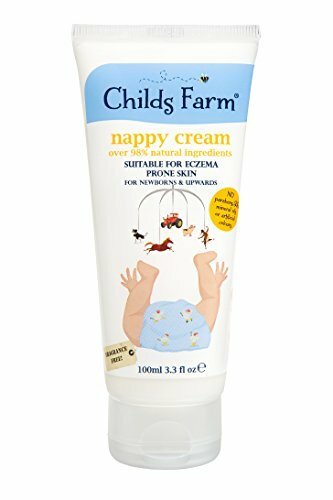 Best baby cream here! So how can Aloe Vera to treat eczema in babies & Which products work? Aloe vera is a beautiful succulent plant, like a pretty little cactus but less spiky, that looks great in your garden and flourishes well as an indoor plant. It is also a lovely plant for improving your indoor environment and can help to remove toxins from enclosed spaces. It has been used for centuries to treat all sorts of wounds and skin conditions. If you suffer from eczema or have a baby or child who does, you should definitely give this natural remedy a try. Eczema as a condition is characterized by red, hot, irritated skin, that basically screams to be relieved in some way. If you could ignore it or just magically turn it off somehow then you would cut all the bad bits of eczema off at the source, and in theory, it would never get any worse. All of which are red, hot and irritated and scream out to be scratched again. This becomes the never-ending cycle of frustration and scratching that is the life of an eczema family. Eczema and Aloe Vera: What can this magic plant do? Ancient cultures have long recognized the benefits of aloe vera for the skin. Not just moisturizing and great for keeping your skin looking youthful is also has wonderful medicinal properties. Originating in dry areas like Africa and India, apparently, the Egyptians used to call it ‘the plant of immortality’. The easiest way you can use aloe vera is to have a fresh plant growing at home. When you break open a leaf it secretes a clear gel which can be put directly onto skin irritations, wounds, and even sunburn. It is proven to help dry and flaky skin as well as dry hair and scalp problems. Aloe vera contains nutrients and antioxidants which help the body to heal and cells to regenerate, particularly those contained in the skin. It contains hormones called auxin and gibberellins which help to heal wounds and provide anti-inflammatory benefits, as well as reducing scarring. The bevy of antioxidants in aloe includes beta-carotene and vitamins C and E, which also help with cell regeneration, healing, and moisturizing. It can be used as antiseptic and antifungal treatment, again which is why it works so well treating wounds. and a whole heap of goodness you may not have heard of before including sterols, saponins, lignin, anthraquinones and phenolic compounds. It is also a beneficial ingredient in treating acne, gum disease, arthritis and stomach ulcers, among many other things. And it is gentle enough to use on infants which can be of great benefit to exhausted parents looking for a kind and natural remedies for little hot itchy babies. Aleo Vera has calming properties and can help your baby sleep better. When they have a good nights sleep they inevitably scratch less which results in fewer eczema flare-ups. How can you use aloe vera to treat eczema in babies? Many people swear by aloe vera as a great treatment for eczema, but there has also been plenty of scientific studies to back these claims up. It is a common ingredient in skin care, cosmetics, and eczema treatments because of its proven success. It can also be applied as a protective layer and natural emollient or moisturizer, replenishing moisture back into your skin. It goes onto the skin without oily- or greasiness, and also feels cool and soothing. In this way, it is lovely to reduce irritation, heat and itchiness, the natural bi-products of eczema. The beautiful moisturizing power of the gel inside aloe vera replenishes the water content of your skin. Some moisturizing products work by just trapping the skin’s own moisture inside, which aren’t suitable for eczema sufferers. Aloe, on the other hand, is high in natural sugar and actually feeds moisture into the skin. When you apply products containing aloe vera you instantly feel the relief they provide. 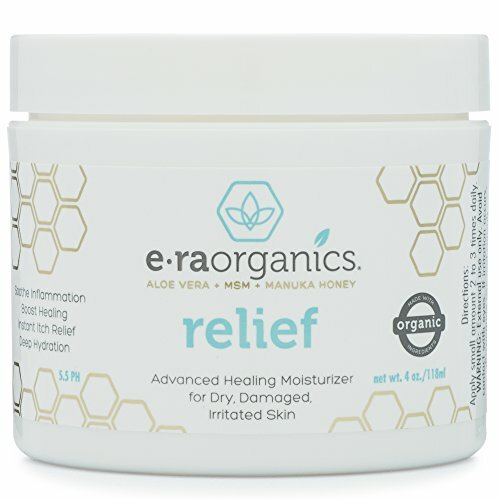 There is a gorgeous cooling and soothing feeling, reducing the heat and itch as well as the tightness that is sadly very familiar to people with eczema. Putting it on can really help you to resist the horrible need to scratch and reduce your chances of making your skin condition worse. For little ones, reducing this need to be the only way to get them to stop scratching because they are too young to have that self-control. The nutrient properties in aloe vera help to fight infection in the cracked and open skin of eczema flare-ups. It helps the skin cells to regenerate and rebuild while fighting bacteria and yeast in the environment that want to cause trouble. Slices of Aloe Vera in a glass. Healthy cocktail. One of the most common places for babies to get eczema in on their head and in their scalp. Cradle cap is one thing but eczema on their head is another matter altogether. 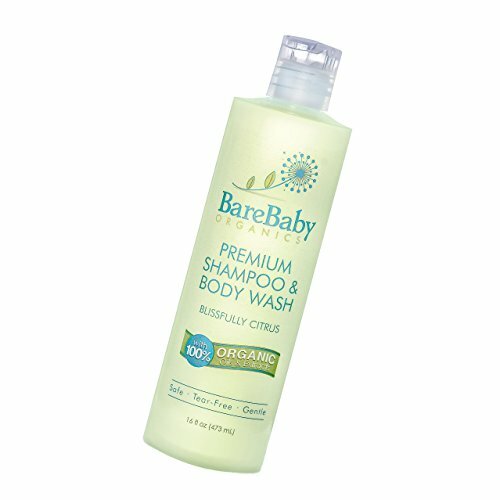 Babies scalps are very sensitive to chemicals and irritants, always make sure you use an organic eczema shampoo with aloe vera like the one we used when our son was little who suffers from severe eczema. It has also been proven that the application of aloe vera for eczema can aid the general absorption of eczema treatments such as hydrocortisone and prescription steroid creams. I personally use Aloe Vera deodorant made by Aloe-forever! It’s amazing and smells lovely. Suitable for men, women and children. INSTANT AND LONG TERM RELIEF GUARANTEED- Get Healthier, Happier Skin or Your Money Back! Say goodbye to dry, cracked, itchy, scaly, painful skin. Soothe your irritated skin while boosting healing, reducing inflammation and restoring your skin's natural 5.5 PH biology. SUPERFOOD FOR YOUR SKIN- Avoid copy cats and knock offs. If you want the best results, you need the best ingredients. Our natural psoriasis and eczema soothing cream feeds your skin the different vitamins, minerals and amino acids it needs for optimal health and healing. More nourishing than typical eczema medications. Powerful 10-in-1 formula includes organic Aloe Vera, Manuka Honey, Shea Butter, Cocoa Butter, Coconut Oil and more. 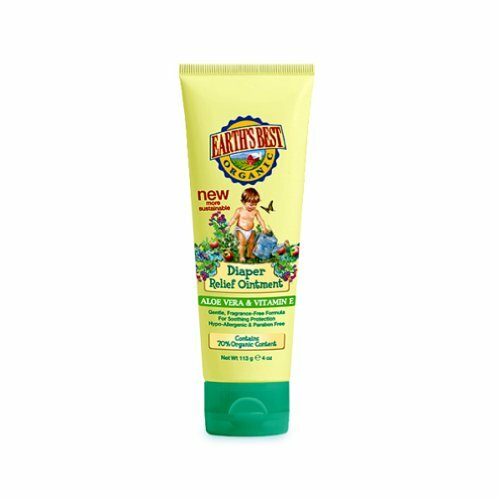 MADE FOR SENSITIVE SKIN- Which means it's safe for all skin types-- even kids. Whether you suffer from Sensitive Skin, Eczema, Psoriasis, Dermatitis, Shingles -- No sting or discomfort. Our non-toxic, hypoallergenic formula is healthier and safer than steroids or psoriasis and eczema treatment. Fully absorbs and won't clog pores so you can use it on your face, feet, hands and body as much as you'd like. STOP ECZEMA IN ITS TRACKS. Give your baby the relief that's desperately needed. Our potent formula can give just that, immediately and long-term, anywhere on the body. Handle baby's itching and burning quickly and easily; because when baby feels relief, so does mom. SAFETY FIRST. Heal your baby's skin without having to worry, because we keep the junk out of all our products. You will find no harmful chemicals, irritants, or fillers here. Our cream does its job both well and safely. QUALITY YOU CAN TRUST. We believe that you and your baby deserve only the best. 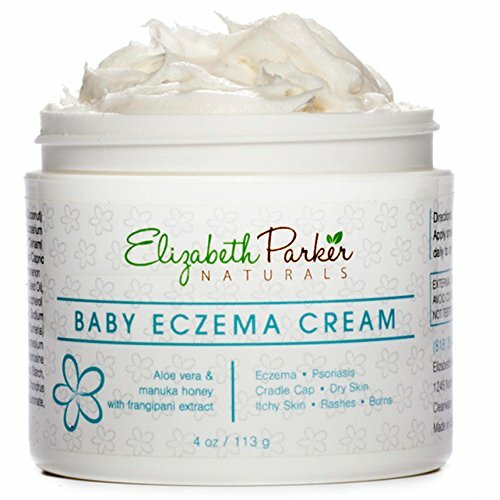 That's why, at Elizabeth Parker Naturals, we use exclusively organic and natural food-grade ingredients, like manuka honey, aloe vera, cehami, coconut oil, cocoa butter, blue-green algae, and many more! These superfoods infuse your baby's skin with all the nutrients needed to heal, leaving it healthier than ever before. YOUR SATISFACTION GUARANTEED. You and your baby's health and happiness are our number one priority. If for any reason you are not satisfied, just let us know! We offer a 60-day money back guarantee. Some people can be allergic to aloe vera, so be sure to patch test your skin first, as with anything you put onto your skin. Also, some ingredients mixed with aloe vera, especially preservatives, can be unpleasant for eczema skin, so look for products that as a natural as possible. You can buy pure aloe vera gel, however, the easiest way to have it readily on hand might be to buy a couple of plants and scatter them around your home or garden for a guaranteed steady supply. All our affiliate links are highlighted in GREEN they will not cost you a penny more to use and we earn a small commission from AMAZON which helps us fund this website to provide useful information and support to eczema sufferers all around the world. So if you use our link, you’re helping others.